Dan Martin joined the Carnegie Mellon faculty in 1992 to direct the Master of Arts Management Program. In 1996, he founded the Center for Arts Management and Technology, devoted to applied research on the implementation of computer and information technology in the arts management process. In 2004, Martin established the Master of Entertainment Industry Management Program, an innovative academic program that includes a year of educational and practical work in Los Angeles, to serve the management education needs of the film and television industries. Martin consults with cultural organizations and has presented workshops and master classes in arts management, information technology, board development and other topics at universities and for arts service organizations in the United States, Canada, Germany, Spain, Austria, Greece and Italy. Martin is on the faculty of the Management and Development of Cultural and Artistic Organizations Program at the University of Bologna (Italy) and the advisory board of the Fitzcarraldo Foundation, an arts management consulting center in Turin, Italy. He served on the faculty of the European Academy for Cultural Management in Salzburg (Austria) and the advisory committees of several professional and research institutions, including the Center for Arts and Culture and Americans for the Arts. Martin has authored a number of reports, magazine articles and journal articles on arts management and related issues, and is co-author with Francois Colbert of HEC/Montreal of Marketing Planning for Culture and the Arts: Fundamental Principles and Practices for Building an Effective Marketing Campaign published in the fall of 2008. 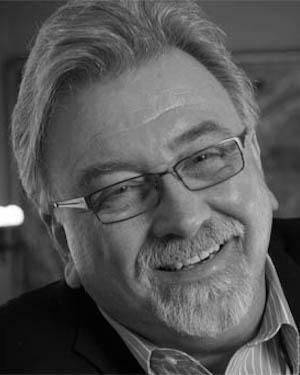 Prior to joining the academic community, Martin spent fourteen years in not-for-profit professional and educational theater management: Managing Director of CSC Repertory (New York City), Managing Director of Virginia Stage Company (Norfolk), Marketing Director of the Walnut Street Theatre Company (Philadelphia), and Marketing Director/Front-of-House Manager of the University Theatre, Western Michigan University (Kalamazoo). Martin holds an undergraduate degree in Theater at Western Michigan University and a Master of Fine Arts in Performing Arts Management at Brooklyn College/City University of New York under the tutelage of the late Stephen Langley, prominent arts management scholar and practitioner.